Car accidents can cause a wide variety of injuries, ranging from minor bruises to serious and life-threatening injuries, such as traumatic brain injuries. While some injuries require only basic first aid, others may require extensive and prolonged medical treatment. An estimated 6 million Americans are involved in auto accidents every year. Of these, 3 million are injured and 2 million experience permanent, life-changing injuries. In addition, 90 people are involved in fatal auto accidents every day due to the auto injuries they suffer. If you have been involved in a car accident, you may have sustained serious injuries. This may result in future medical bills, lost wages, lost earning potential, and long-term medical treatment. Depending on the type of injury, and severity will determine what sort of compensation you need. In a matter of seconds, a car accident can change your life. Nothing really prepares you for being t-boned by a distracted driver or hit head-on by a reckless motorist. Serious car accident injuries have the potential to take over your life, both physically and financially. When a person suffers injuries as a result of a car accident, they may need a significant amount of time to heal. Surgery and therapy are often necessary. When the knee suffers a direct and severe trauma such as hitting the dashboard during a crash, the bones in the lower leg may get displaced, causing tearing of the posterior cruciate ligament or PCL. This is a serious knee injury that can lead to abnormal knee motion, causing further degeneration of the knee joint. For such injuries, treatment includes physical therapy, bracing, or surgery. 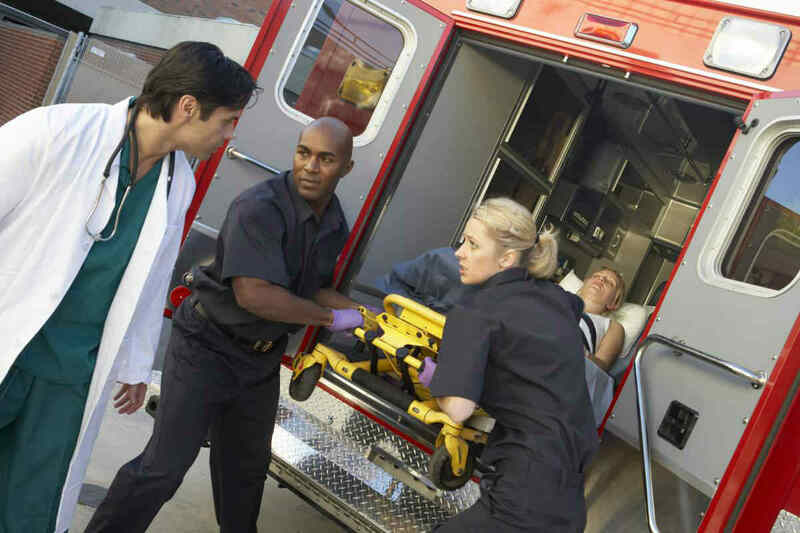 Car accident injuries include fractures, brain injuries, and spinal cord injuries. According to a study conducted by the University of North Carolina School of Medicine, more attention should be paid to neck injuries and chronic pain after motor vehicle crashes. According to this study, more than 70 percent of car accident survivors experience chronic neck pain 6 weeks after the crash. The human body is not designed to absorb the impact of a car accident. Back injuries are another common injury, even after a low impact car accident. The spine is divided into three general areas – the cervical vertebrae (neck), the thoracic vertebrae (upper back), and the lumbar vertebrae (lower back). Discs, muscles, tendons, ligaments, and nerves surround the spinal cord to protect this delicate area of the body. A seemingly minor injury to the back can create havoc, interrupting a person’s ability to complete a daily routine. Serious knee injuries can also cause injury to the hip. Hip joint injuries can lead to serious long-term complications, including mobility problems. In older people, such injuries can be fatal. Injuries such as hip dislocation can cause extreme pain and in severe cases, it can result in nerve damage, causing an abnormal sensation in the lower limbs. The impact of an accident can cause elbow injuries. Elbow injuries often occur when the driver grabs the steering wheel tightly to brace before the actual impact. These injuries can interfere with a person’s ability to carry out daily activities and can cause long-term damage. Shoulder injuries are a common type of joint injury suffered in car accidents. Shoulder injuries can be extremely complex and painful. To diagnose rotator cuff injuries and other shoulder joint injuries, doctors use imaging techniques such as ultrasound and MRI. Medical treatment often involves surgical intervention. Shoulder joint injuries can prevent a victim from working or even performing daily activities. These injuries can take a long time to heal, especially if the person undergoes surgery. If you or a loved one have been seriously injured in an auto accident, it is important that you contact a car accident lawyer near you as soon as possible. The longer you wait, the more difficult it can be to gather evidence. In addition, the law limits the time allowed in which you may file a lawsuit. With more than 20 years of experience helping car accident victims, The Hoffmann Law Firm, L.L.C. has a track record of success!